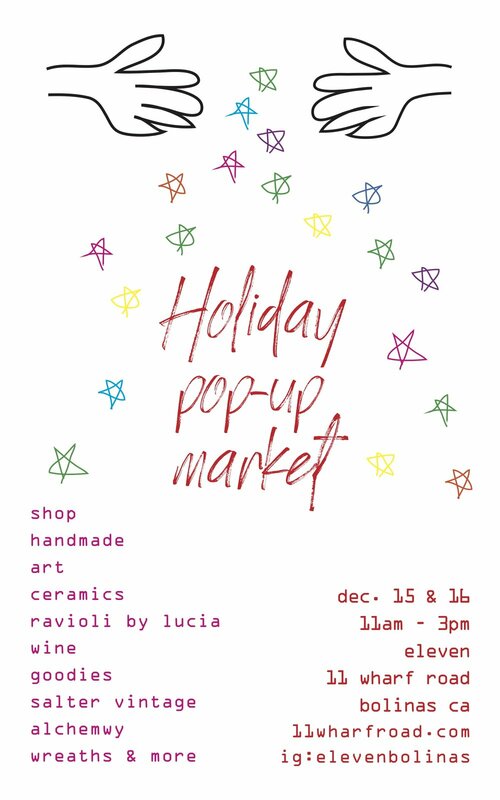 Eleven Bolinas will be at the Bolinas Winter Faire with ceramics, wine, violeta's shrubs, gift cards, totes, t-shirts and other amazing goodies. Get your gift on. Teas & Treats by Steep Tea Co. & espresso drinks too! Come have a treat with us.